A Diamond Select Toys release! 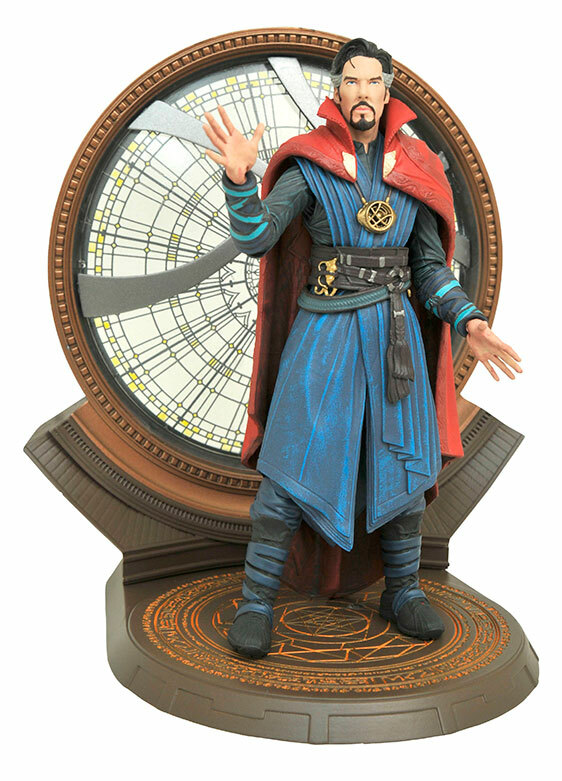 The Sorcerer Supreme and soon-to-be-cinematic superstar is the next Marvel Select masterpiece! This 7-inch action figure depicts Dr. Stephen Strange as he appears in the upcoming Marvel feature film, with a screen-accurate costume and the likeness of actor Benedict Cumberbatch. The figure features 16 points of articulation, and comes with a diorama-style base capturing an environment from the film. Packaged in the display-ready Select packaging, with spine artwork for shelf reference. Sculpted by Gentle Giant Studios!